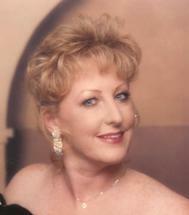 I am Catherine M. Caldwell - Attorney at Law, and I have been a practitioner of law for more than 25 years. I am a native of Tulsa, OK and inherited my passion for law from my parents. My father was a District Judge for Tulsa County for more than 21 years and my mother was also a practicing family law attorney. I represent clients in divorce, child custody, and guardianship cases. I do not practice criminal or bankruptcy law, do I also practice general civil law cases. I believe that divorce, child custody, and guardianship cases are some of the most trying experiences an individual can have. Because of that, I strive to bring compassionate understanding to each client and each case I represent. I am willing to travel and happily handle cases in Tulsa, Rodgers, Creek, Wagoner, and Okmulgee counties as well as the city of Tulsa, OK. If your life has been ripped apart by a divorce, or you are in the middle of a contentious child custody case, I can be a calm and rational ally to help lead you through. Call Catherine M. Caldwell - Attorney at Law to schedule an appointment for a consultation and let me help you. Catherine M. Caldwell Attorney at Law is located in Tulsa, Oklahoma.